Four photos today, three from a walk around EWT's Hanningfield Reservoir reserve earlier today, and the last from Fingringhoe Wick last weekend during my workshop. I managed to get out for a walk just by myself today - no tuition, no wife or child, and I have to admit it was lovely, as I could spend as long as I wanted one each shot. 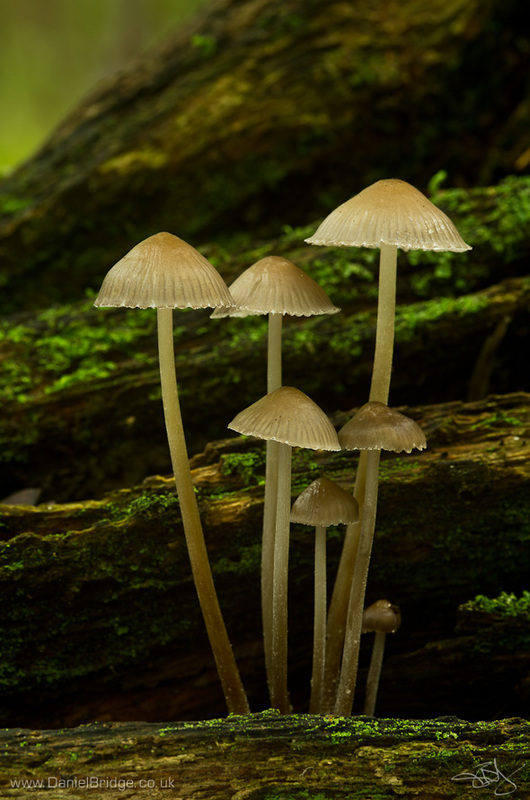 I'd gone there specifically to look for toadstools, and this was the first nice grouping that I came across. Pentax K-5, Sigma EX 105mm f/2.8 macro lens @ f/8, 8s, ISO80, tripod, polariser, reflector. 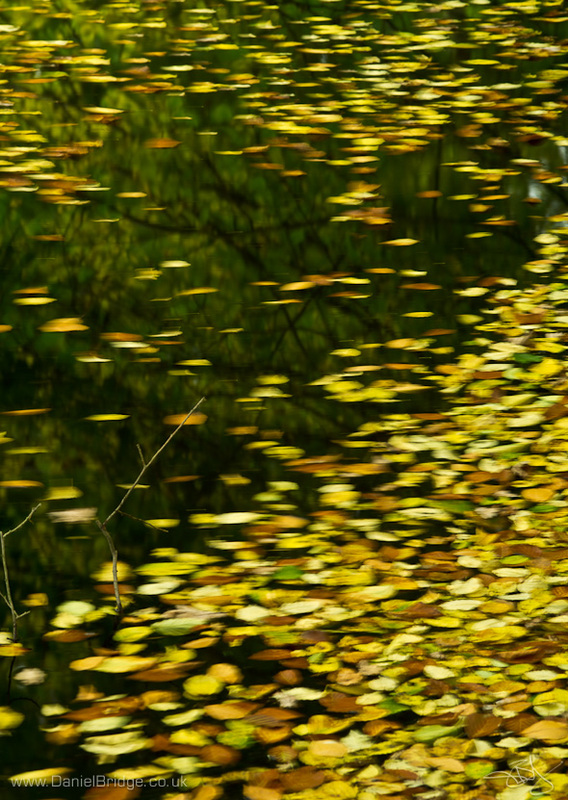 One of the ponds (in Well Wood) was looking nice, and the leaves that has fallen on the water were being gently moved by the wind, so I used a long shutter speed to make a slightly abstract rendition of the view. Pentax K-5, Sigma EX 105mm f/2.8 macro lens @ f/8, 10s, ISO80, tripod, polariser. 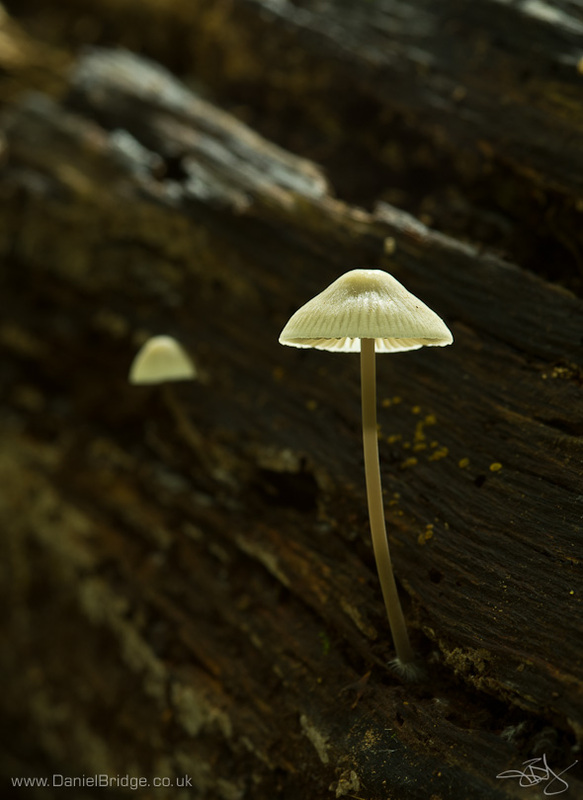 The last toadstool I shot was this one, and I used a flash above and behind the subject to help light to cap, and I was pleased with the result, looking like weak sunlight I think. Pentax K-5, Sigma EX 105mm f/2.8 macro lens @ f/6.7, 10s, ISO80, tripod, polariser, off-camera flash. This was taken up at EWT's Fingringhoe Wick reserve last Saturday, from Geedon Hide, overlooking the Colne estuary. 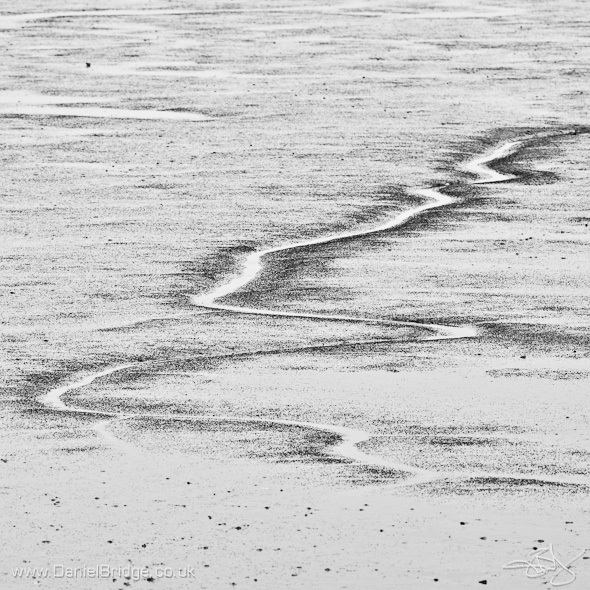 I liked the patterns in the mud in front of the hide, and used the 300mm lens to isolate them, processing as a high contrast black and white image to further abstract them. We were all amazed at how quickly the tide came in here, within minutes the whole of the muddy foreshore was under water. Pentax K-5, Pentax DA*300mm f/4 lens @ f/8, 1/125s, +0.5EV, ISO100, handheld.